I haven't posted any non-skate stuff in a while, so I thought I'd throw this out there for everyone to take a look at. 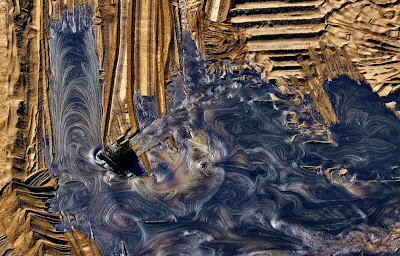 Aerial photography and environmentalism seem to go hand in hand. We had William Garnett in the 50's then David Maisel starting in the 80's. Most recently Yann Arthus-Bertrand's Earth From Above series. See 39 of the 150 images here on the Boston Globe's excellent Big Picture photo blog. The full exhibit is hitting 120 international cities and New York will host the images starting in May of 2009. Via: Chris Glass. I am so f'ing amazed at this beautiful planet of ours.